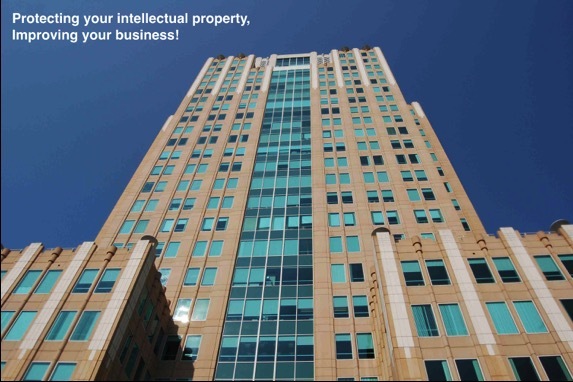 Businesses need a skilled lawyer when dealing with a patent, trademark, copyright, or other intellectual property issue. That’s why they trust the Law Office of Craig A. Simmermon. Mr. Simmermon is highly technical as a physicist and engineer. Mr. Simmermon has decades of business experience, dealing with a multitude of products, technologies, and businesses, including plastics and other manufacturing technologies. He uses this wide range of knowledge and experience to determine and understand the best aspects of your invention and business that can translate into intellectual property rights and commercial value. Mr. Simmermon then uses expert knowledge of intellectual property law to implement these strategies. The Law Office of Craig A. Simmermon helps bridge the gap between the initial spark of invention and the realization of commercial value. Attorney Simmermon is a sole practitioner, so all interaction is with the attorney himself. Attorney Simmermon is one of the few intellectual property attorneys that stands behind his patents, trademarks, and copyrights ‘from the cradle to the grave’. Firstly, Attorney Simmermon drafts high-quality patent, trademark, and copyright applications that quickly pass examination to yield strong intellectual property protection rights. Secondly, Attorney Simmermon files and wins infringement law suits to hold infringers responsible for their misconduct. Few patent attorneys offer the full spectrum of legal services to protect ‘from the cradle to the grave’. The first step is to call Craig A. Simmermon at 916.878.6656 to arrange a one-hour initial consultation for a $250 fee. Sorry, no free consultations. At the initial consultation, we will discuss your intellectual property issue and answer your questions. Mr. Simmermon will investigate your idea or invention and provide an expert opinion on patentability and how to proceed with securing your intellectual property rights, if appropriate. There are flat fees to draft and file patent, trademark, and copyright applications. Litigation rates are $250 per hour. There are multiple office locations to serve you. The Sacramento Office is located at: 980 9th St., 16th Fl., Sacramento, CA 95814, just two blocks away from the State Courthouse and the Federal Courthouse for the Eastern District of California in Sacramento. The Roseville Office is located at: 3017 Douglas Boulevard, Suite 300, Roseville, California, 95661. The Folsom Office is located at: 1024 Iron Point Road, Folsom, California, 95630. House-Calls: Mr. Simmermon makes house-calls on business clients within a reasonable distance of the Sacramento Metropolitan Area. Mr. Simmermon conducts Patent Law Information Sessions for companies who need questions answered about the complex field of patent law. Mr. Simmermon meets with clients on an appointment-only basis. Browse the Web site for more information about the Law Office of Craig A. Simmermon. If you have any questions, please e-mail Simmermon Law or call at 916.878.6656.